Where does the Camino de Santiago start and end? If you are thinking of starting the Camino de Santiago, you are probably asking yourself basic questions such as where the Jacobean route begins and ends. We tell you about the main routes to Santiago de Compostela. Where does the Camino de Santiago end? What are the main routes to get to Santiago? Traditionally it has always been said that "the Camino de Santiago begins at the door of your house", a popular tradition that dates back to the Middle Ages. At that time, of course, the pilgrims had no other way to get to Santiago de Compostela than by the roads that separated their home from Santiago, either through the Peninsula or half of Europe; walking or riding. However, currently not many pilgrims can afford to make the Camino from the door of their house for obvious reasons (free time available, physical condition, etc); So, where does the Camino de Santiago start and end today? The end of the Camino de Santiago is undoubtedly the one that most consensus gathers among all the pilgrims: all the roads end at the Cathedral of Santiago de Compostela, in the Plaza de Obradoiro. However, for many other pilgrims, once they arrive in the city of Compostela, their Camino continues to Finisterre or Muxía, at the foot of the Atlantic (although this route is considered a kind of prologue to the Camino de Santiago). The beginning of the Camino de Santiago, however, is impossible to establish at any specific point, since millenary routes depart from the entire Peninsula and Europe to Santiago de Compostela. Pilgrims can choose any of these routes to make a pilgrimage to Santiago de Compostela and can choose any starting point; that is, it is not obligatory to cover them from beginning to end at all. In this way, for example, although the French Way (the busiest route), runs more than 800 km from Roncesvalles to Santiago, most pilgrims decide to walk only a few hundred kilometers; In fact Sarria, a little over 100 kilometers from Santiago, is the most chosen starting point of all the Jacobean routes. Which route of the Camino de Santiago to choose for your pilgrimage is one of the most important decisions you must make, since each of them will give you a completely different vision of this experience. At what time to do the Camino de Santiago is also very important, since depending on the season you want to do some routes will be more recommendable than others. Although no one can prevent us from doing the Camino de Santiago in the coldest months of the year (in fact the French Way is filled with South Koreans in December and January), the truth is that most pilgrims decide to start this adventure during the months between April and end of September, when the best weather conditions for walking are given. The French Way: The route most traveled by pilgrims with a long distance. It travels Spain from east to west for more than 800 km, being the route that has more services during almost all its route; It is also the most crowded. The Portuguese Way: The second busiest route begins in Lisbon and crosses Portugal from south to north, crossing the river Miño to enter Pontevedra and continue to Santiago. Its popularity increases year after year. 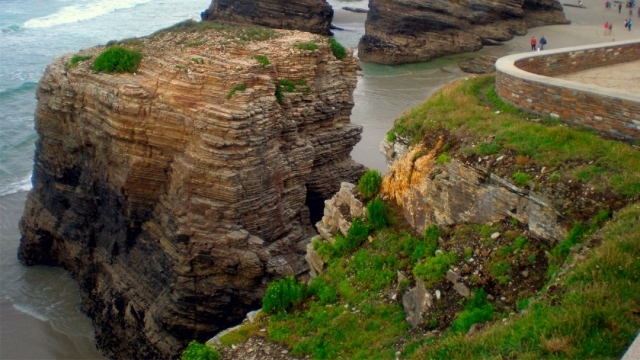 The Northern Way: It runs from Irún, crossing the entire north of the peninsula through the Basque Country, Cantabria and Asturias, before entering Galicia. It is a route that requires a good physical condition in certain sections and with harsh weather conditions in the coldest months of the year. Camino Primitivo: One of the most authentic Jacobean routes according to the pilgrims who travel, which are not many during the year. The Primitive Way follows the footsteps of the first pilgrims for more than a thousand years, starting from Oviedo to Santiago de Compostela through unique landscapes. The English Way: The English Way has two starting points: Ferrol and A Coruña and it is one of the shortest Jacobean routes in Galicia, following in the footsteps of the pilgrims arriving from the north of Europe by boat to visit the remains of the Apostle Santiago. These are just some of the pilgrim routes most traveled by pilgrims, but there are many more that cross the Peninsula from south to north and from east to west, as well as routes that are born throughout Europe and converge with the French Way to Santiago de Compostela . Deseando volver, en cuanto disponga de 4 o 5 dias me organizo unos dias en el camino primitivo.